Can Health and Wellness Be Defined? Posted on March 10, 2017 | Comments Off on Can Health and Wellness Be Defined? 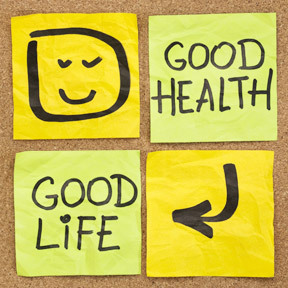 In 1948, the World Health Organization (WHO) defined health as “A state of complete mental, physical and social well-being, and not merely the absence of disease.” In 1986, WHO amended that definition to include, “Health is a resource for everyday life, not the objective of living. Health is a positive concept emphasizing social and personal resources, as well as physical capacities.” Though not in agreement, in 2006 the National Institutes of Health (NIH) identified three dimensions that were being used to define health. First, that health was the absence of disease or infirmity. Secondly, that health was a state that allowed an individual to adequately cope with all demands of daily life. Lastly, that health was a state of balance between an individual and his or her social and physical environment. Many might accept that the two broad aspects of health include both physical and mental health. Some might think of health in terms of good bodily health, defined by proper nutrition, physical exercise, weight management and adequate rest. Physical health can encompass structural health in terms of the bones, muscles and organs performing at optimal function, and chemical health, in which body chemicals are properly balanced and the body is free of deleterious toxic chemicals. Per WHO, mental health encompasses cognitive, emotional and social wellbeing, in which individuals realize their own potential, can cope with normal life stresses, can work productively and fruitfully, and can contribute to their communities. Perhaps as opposed to defining “health,” we should consider the concept of “wellness.” While we often use health and wellness interchangeably, they are not quite the same. While very important, some would argue that the requirements for complete health leads to the medicalization of society, lowered thresholds for medical interventions and overtreatment, when more is not necessarily better, such as the overuse of antibiotics and extraordinary measures often taken as we near the end of life. While we all should place a high value on heath and participate in preventive lifestyle habits, there is also something to be said for living in harmony our physical, social, spiritual, emotional, intellectual, environmental and occupational wellbeing. Physical wellness: Lifestyle choices that maintain or improve health and functionality, that includes good nutrition, physical activity, adequate sleep, and stress management, as well as avoidance of destructive habits. Emotional wellness: The ability to cope with everyday challenges and stresses by paying attention to self-care and stress reduction. Social wellness: The ability to relate to and connect with people and maintain positive relationships with friends, family and co-workers. Spiritual wellness: Development of a set of personal values that help us seek meaning and purpose and establish peace and harmony within ourselves. Intellectual wellness: The ability to open our minds to new ideas, along with the desire to learn new concepts, improve skills and seek challenges in pursuit of lifelong learning. Environmental wellness: The ability to make a positive impact on the quality of our own environment, as well as recognizing our responsibility to care for our world. Occupational wellness: The ability to make a positive impact in our chosen careers and receive personal fulfillment, while maintaining a balance in our personal lives. Wellness is the ability to live your dreams regardless of your circumstances. By maintaining and optimizing each dimension of wellness throughout life’s journey, we truly accomplish our goal in pursuit of optimal health. Comments Off on Can Health and Wellness Be Defined?